Among the things I enjoy most in the Darksiders franchise are its story and characters, all based around the Four Horsemen of the Apocalypse and the angels and demons that are all fighting to basically control or destroy everything. No really, absolutely everything. 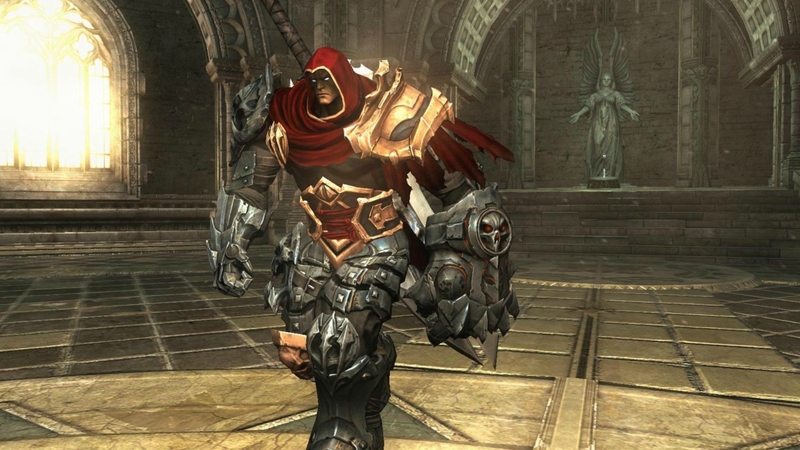 In Darksiders, originally released in 2010, the main character is the Horseman, War. He arrives on Earth to find that the Apocalypse is in full swing, with angels and demons locked in an epic battle that is levelling cities and tearing humanity to shreds. The problem is, this shouldn’t be happening yet. You see, in an effort to keep the peace, the Charred Council created seven seals and scattered them across the various realms, to be broken only when mankind was ready for the greatest battle of them all. The seventh seal was never broken and War, the only Horseman to be summoned incorrectly, is subsequently blamed for the kicking the whole catastrophe off early. In an attempt to clear his name, War convinces the Charred Council to send him back to Earth to discover the truth of what really happened. They agree, with the proviso that he is accompanied by the Watcher, to keep him in check. The Watcher is voiced by Mark Hamill, and is quite easily one of the best characters in the game. Now, some of you may know that Darksiders is rather similar to a series that is already quite popular with Nintendo fans, a little known title called The Legend of Zelda. Not many people have heard of it. More accurately, Darksiders is similar to the pre-Breath of the Wild games, and that brings me back to the Watcher. Remember Navi? Okay, I know you’re all twitching at the memory of her shouting, “Hey, listen,” at every bloody thing in the game, but hear me out. The Watcher provides a similar role, helping you out when you get stuck, or simply offering nuggets of information and exposition that keep the story flowing. Only without being migraine-inducing. In fact, he’s highly entertaining. 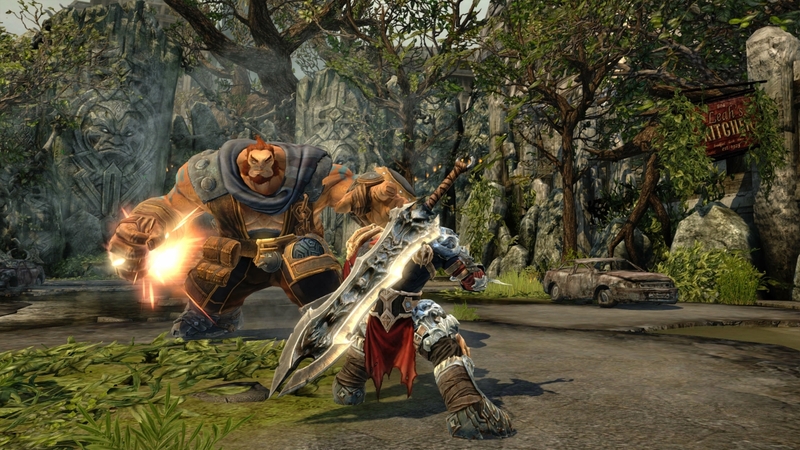 Every part of Darksiders’ gameplay is reminiscent in some way of those older 3D Zelda games, from the excellent level design in the dungeons, to the use of items that were always suspiciously similar to the boomerang and bomb flowers. Though it was never derivative, feeling more like an homage, while also adding new mechanics that came from other sources. It was never wholly original, instead bringing together elements from series you might not expect, with even Portal coming into play in later stages, and you know what? That’s okay. 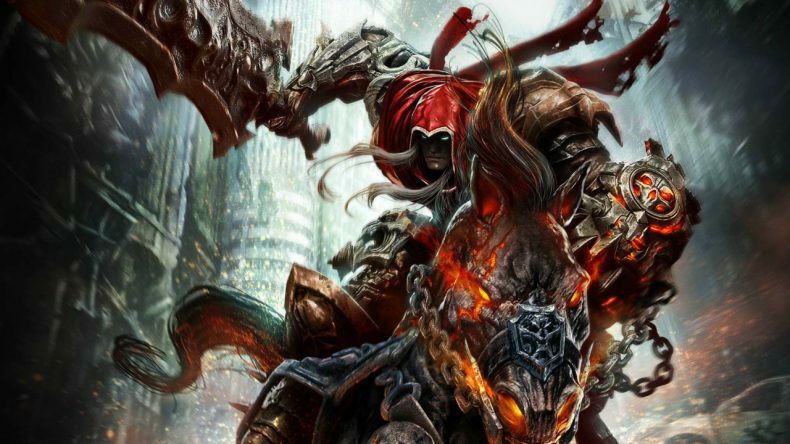 Too often games are judged for using ideas from elsewhere, even if, like Darksiders, the end result is actually an incredibly enjoyable and somewhat fresh experience. Well, it was when it first released anyway, and still can be for anyone picking it up for the first time on the Switch. That’s where things get a little interesting. This “Warmastered Edition” is the same re-release as the one on PS4, Xbox One and PC, without the 4K assets of course, but with the ability to choose between “high quality” (graphics) and “high performance” (framerate) modes. Not something you see often on Nintendo’s handheld hybrid. Whether you’re in handheld or docked mode, choosing to have the best looking version of the game will result in a framerate somewhere in the region of 20-30fps but with more detailed textures and a higher resolution, which is especially noticeable on the big screen. Going for the performance option will result in a lower resolution, which isn’t particularly noticeable when played handheld but is actually quite the step down on the big screen, but with the bonus of running at around 50-60fps. In a game like this, where the action can be pretty hectic and requires well-timed dodges and attacks, those extra frames can make all the difference. No matter which mode you opt to play in, there are some minor drops in framerate during the most intense moments in the game. These are especially evident when you’re only getting 20-30fps in graphics mode anyway, but they never really impact the gameplay enough to cause major upset. That is the only real complaint I have about this Switch port, truth be told. At least in terms of what’s in the hands of the developer. The only other problem is down to the Switch’s stick sensitivity, especially when it comes to aiming with the right stick. This is incredibly awkward on those JoyCons, and when you’re forced to manually aim in Darksiders (which is mercifully rare, thanks to its lock-on system), things can be a bit more fiddly than necessary. Especially during later sections. Perhaps if there were an option for motion-assisted aiming like in Breath of the Wild, for example, it might improve things. Again though, it’s not a major problem as it stands. Darksiders: Warmastered Edition on Nintendo Switch obviously isn’t the definitive version as it doesn’t include the 4K/60fps experience of the Xbox One X or the smoother controls of the more powerful consoles or PC, but that doesn’t stop it from being a solid version of an already outstanding game. Hell, being able to play War’s adventure on the way to work or, let’s face it, on the khazi (don’t pretend you haven’t done that), is a rather nice addition. 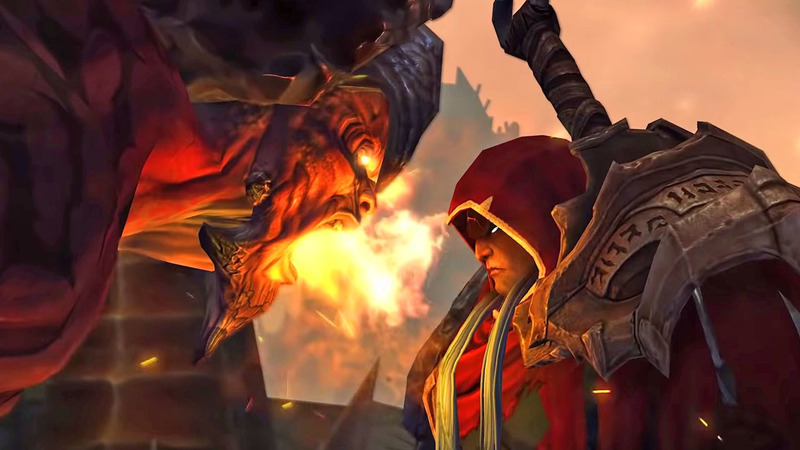 While not the definitive version, Darksiders: Warmastered Edition is no slouch on the Nintendo Switch. Whether played in graphics or performance mode, docked or handheld, it’s still an outstanding version of an already outstanding game.